The three-time Madhya Pradesh CM, who was in the city to campaign for the BJP, observed that Rao never goes to the Secretariat to make policy decisions. 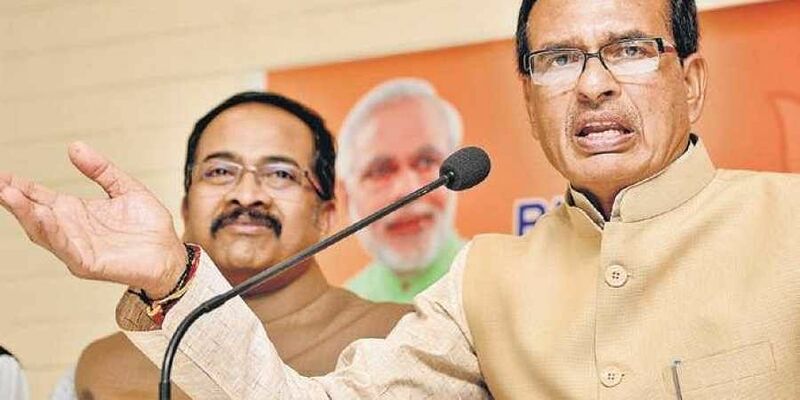 HYDERABAD: Expressing disappointment over his fellow counterpart, Chief Minister of Madhya Pradesh Shivraj Singh Chouhan slammed TRS chief K Chandrasekhar Rao for not being able to work from his designated place of work - the Secretariat. The three-time CM, who was in the city to campaign for the BJP, observed that Rao never goes to the Secretariat to make policy decisions. “In my thirteen years as the Chief Minister, I would always sit in my cabin at the Secretariat and take decisions. I’m surprised that the CM here works from home, never goes to the Secretariat,” Chouhan said while interacting with the media. The government is being organised from his residence which used to be a CM’s camp office. “The entire government is in the home, there is no need of anyone else to function and govern for him. Even after 70 years of independence, how can such dynastic politics continue,” Chouhan questioned. “I thought KCR worked on the waterfront but in the name of redesign, he resumed the projects that were left idle by the Congress. The amount incurred has also exorbitantly increased,” Chouhan said. Governance is in “chaos”, declared Chouhan as he claimed that the states that were bifurcated under the BJP’s regime - Chattisgarh, Jharkhand, and Uttarakhand - are doing far better than TS. Chouhan also took on the Congress & TDP as he termed them to be ‘sinking boats’.